BendPak is highly respected in the car hoist industry. Thanks to more than 50 years in the automotive equipment business, they know more about tube benders, jacks and air compressors better than anybody else. And they have the most reliable and widest variety of vehicle lifts - 2-post, 4-post, alignment, portable, parking and scissor lifts as well. One reason Bendpak is so well known is that they pay strict attention to every detail when it comes to product design, manufacturing, testing and support. Their manufacturing facilities are all ISO-9001 compliant. And they incorporate customer driven features into each product. From rugged testing and quality control to computerized flame cutters, punching and cutting units, multi-axis machining centers, certified welders and accomplished engineers, Bendpack is one of the finest auto repair equipment manufacturers. And ASEDeals offers the best selection of their products for less. We have been one of the largest authurized BendPak distributors for over 20 years. And as one of the largest dealers, we can offer some of the lowest prices. And don't forget, we sell, service and install nationwide! Contact us today for our absolute best deals. 2-Post BendPak Lifts are chosen most often by body shops, dealerships and garages. Besides offering a wide range of lifting capacities and types, it’s BendPak's award-winning design that places them in a category all their own. Choose from 2 post models ranging from 9,000 to 18,000 LB capacity. 4-Post Lifts and Truck Lifts are packed with the features that both an automotive professional and DIY enthusiast values the most. Making them the perfect choice for home garage parking, car ports and professional shops. Choose from 4-post lifts ranging from 7,000 all the way up to 40,000 LB capacity. Parking Lifts are for doubling or tripling your parking space. No matter if you're interested in stowing away vehicles or accommodating short-term parking, our BendPak car lifts will bring you the small footprint you need. Choose from tilt platform, boat and trailer storage, single, 2-post and 4-post triple stackers. Alignment Racks are for generating greater profitability for your shop. Choose from a standard 4-post, extra-long, open front or scissor BendPak alignment lift for your task. 4 Post Air Bridge Jacks are for helping you get the most out of your 4-post Bendpak auto lift and get wheels off the runway. Specialized Hoists are designed to make any job go smoother, especially brake and body service. Our low-rise lifts also come in scissors-style; our mid-rise lift is portable; and our full-rise lifts must be boted down to concrete and allow full access to the bottom of a vehicle. Heavy-Duty Truck Lifts are made to serve as portable column lifts that can be used in either sets of six or four. Most BendPak lifts are tested and certified by ALI and ETL. Whether you purchase a BendPak lift or not, you owe it to yourself to make sure it is ALI- and ETL-Certified. Great warranties are also offered by BendPak. For 2- and 4-post lifts, you're covered five years on the structure, two years on the power unit, and one year for on site service. While other BendPak warranties vary, you can count on being covered on labor for at least one year.  When you purchase from Automotive Service Equipment, you are purchasing from one of the largest and most reputable dealers in the industry. And you know you're going to get the best sale price. Why Choose a BendPak car lift?